Today I wanted to share some happy news with you all! I was holding onto it because I wasn’t sure I wanted to share it or if it was something you all would be interested to know. But as we move into the halfway mark of 2017, I’m reminded of my Mindset shift to be comfortable with being uncomfortable so here we are. I’m am so excited to share that I am 1 of 5 recent recipients of The Digital Beauty School scholarship. 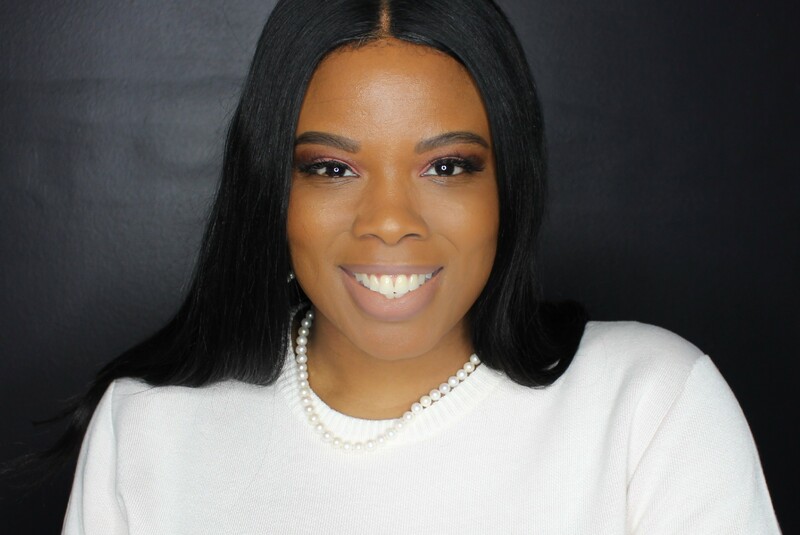 The Digital Beauty School is an online coaching program and community with resources to assist bloggers and beauty brand owners with tools to create content and connect with their audiences online. It was quite an honor to be selected from 148 applicants! I recently attended the Beauty School Meetup and met and networked with some great beauty bloggers and beauty brand owners and professionals. I was also introduced to Nicole Melton, Digital Beauty School founder. As some of you may know I have been on this blogging journey for just about 8 months now and our 50th post just went live last week!! It has been quite the roller coaster ride of nerves and excitement. I am still very young in the game and I have been enjoying interacting with each of you. I wanted to thank you all for hanging in there with me and let you know that I appreciate all the words of encouragement, suggestions and patience you’ve had. I’m looking forward to taking my blog, brand and business to the next level and learning how to bring you Rubies even more helpful creative content that you will enjoy! I’ll be sure to keep you all updated! Stay tuned!! I think this sounds like an exciting opportunity for you. I am thrilled for you. Let us know how it does for you. Thanks so much Valerie, I am looking forward to it and I will be sure to do a follow up! Great, taking blog to next level does requires ample networking & you are really doing the right thing! All the best! Thanks so much for the well wishes! Congratulations on the scholarship. I will also look forward to read more of your post and accomplishment. Keep it up. Thank you so much for the encouraging words! Congratulations on your 50th post! The digital beauty school looks like it’s going to be a wonderful opportunity. Thank you so much! I remember when I just had a few posts and wondered if anyone would read them. I’m very thankful! Oh cool, this sounds awesome! Good luck with it. Sounds like you’ll be learning a lot. Thank you in looking forward to it! Having a support group in blogging is so important. It’s great that you were able to get together in person. I love how everyone squatted for the photo. Made me smile. Congratulations that is awesome! I wish you all the best in your endeavors. That is so awesome that you were selected for that kind of an honor. Your pictures area already really good but it never hurts to up your game. Hope it goes well. I totally agree, thank you! Congratulations on your milestone and taking your site to the next level so exciting. Wow! Congratulations! I can’t imagine how much you’re going to learn and grow! Soak up every bit of it! Congratulations. What an amazing honor. I’m not familiar with this scholarship. I will def be looking into as it sounds like an amazing opportunity!